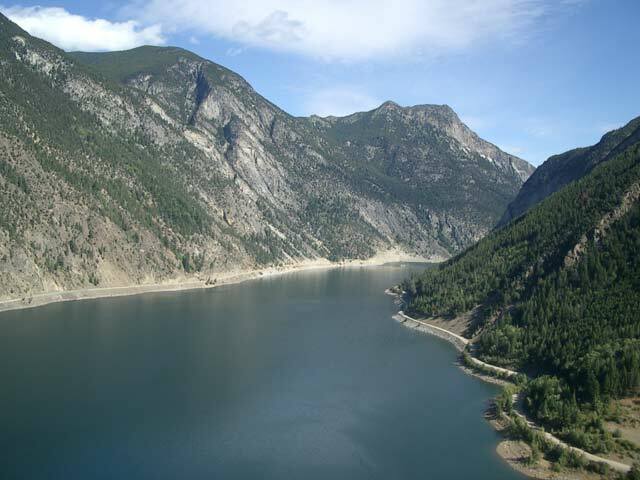 Seton Portage is located 80 km (50 miles) west of Lillooet on the Bridge River and Mission Mountain Roads and 33 km (21 miles) north of D'Arcy on the Highline Road. To get to Seton Portage take the sometimes rough gravel Bridge River Road that goes to Gold Bridge from Lillooet for 47 km (29 miles). At the Terzaghi Dam turn onto the Mission Mountain Road towards Shalalth and Seton Portage. The Mission Mountain Road crosses at the east end of Carpenter Lake reservoir and continues through a small tunnel then along the lakeshore. The gravel road follows the south shore on Carpenter Lake then starts climbing very steeply up Mission Mountain. The views of Carpenter Lake near the top of Mission Mountain are stunning. Once you are over the summit the road goes steeply about 12 km (7.5 miles) including 14% for 8 km (5 miles) down towards Seton Portage Road. 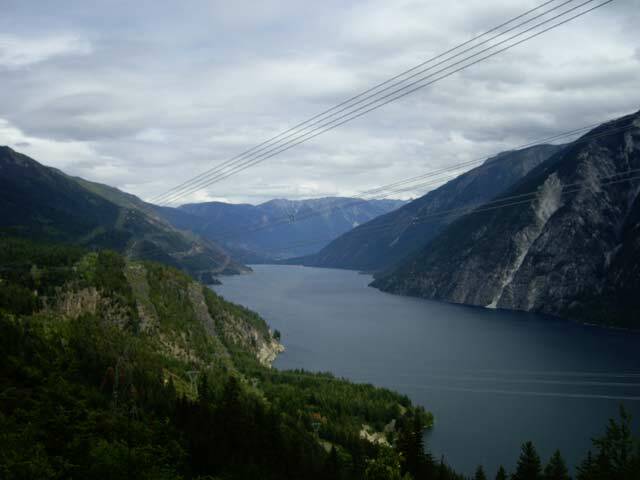 Along the way there are incredible views of 27 km (17 miles) long Seton Lake and the surrounding mountains. The weather and climate in Seaton Portage has sometimes been described as Mediterranean-like experiencing hot dry summers. Cherry trees, nut trees, grapes, peaches, cantaloupe and watermelons all seem to thrive. For tomato lovers you will enjoy this climate for growing a very wide selection of different varieties. 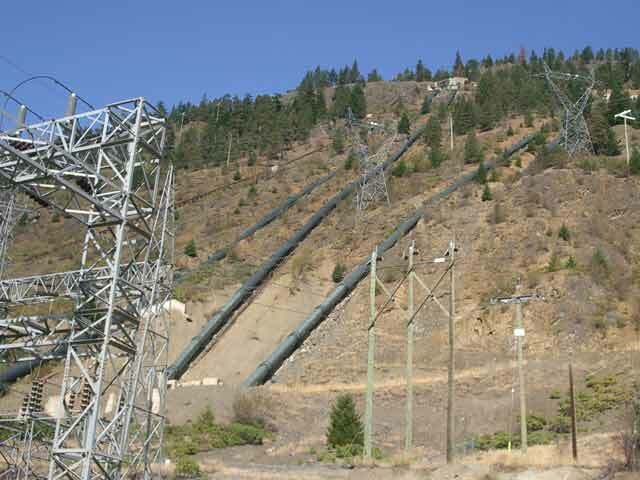 Situated just north of Seton Portage is an electrical generating complex operated by BC Hydro called Bridge River. Originally built by the BC Electric Company in 1927 to supply Vancouver with power, the Bridge River Complex was finally completed in 1960. Most of the people living at Seton Portage are employed with or affiliated with BC Hydro. During the summer time the recreation pursuits in Seton Portage include hiking, 4x4 driving, off-road motorcycle, quads and mountain biking. 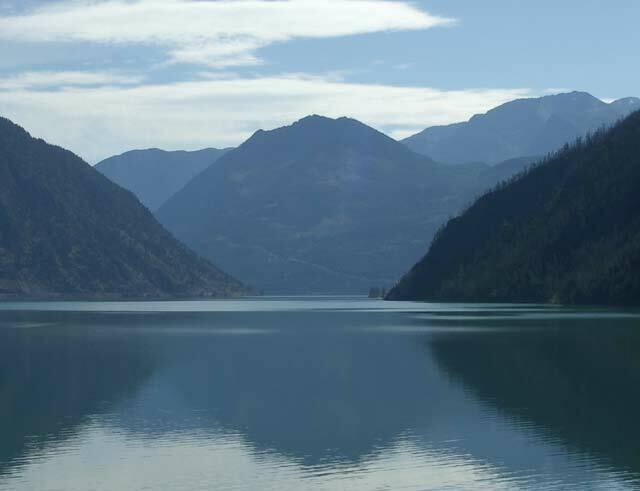 In Seton Lake, you can boat, kayak, canoe, swim and fish for Rainbow Trout and species of whitefish. The outdoor winter recreation around Seton Portage includes snowmobiling, ice-fishing, backcountry skiing and snowshoeing. 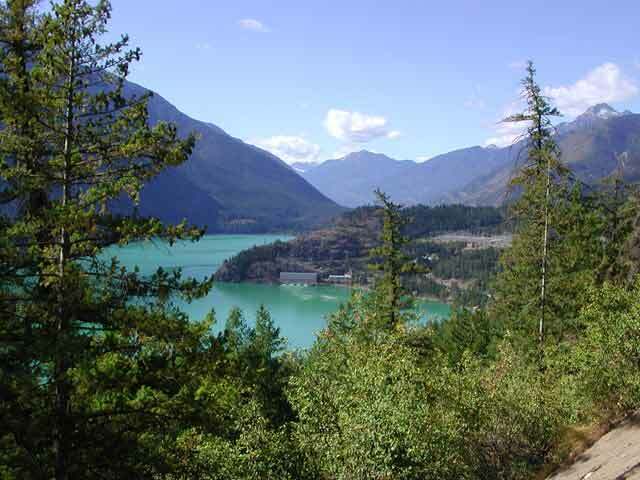 The small First Nations community of Shalalth is located 6 km (4 miles) east of Seton Portage on Seton Lake. Shalalth is very small with a population of around 400 inhabitants. 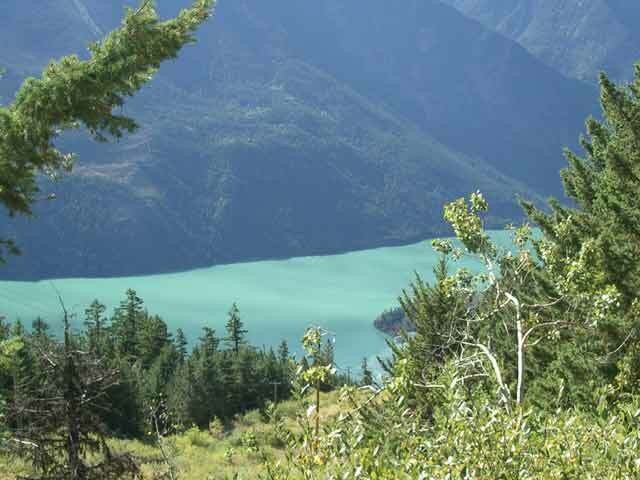 The community of Shalalth is home to the First Nation Seton Lake Indian Band, an affiliate of the Lillooet Tribal Council. 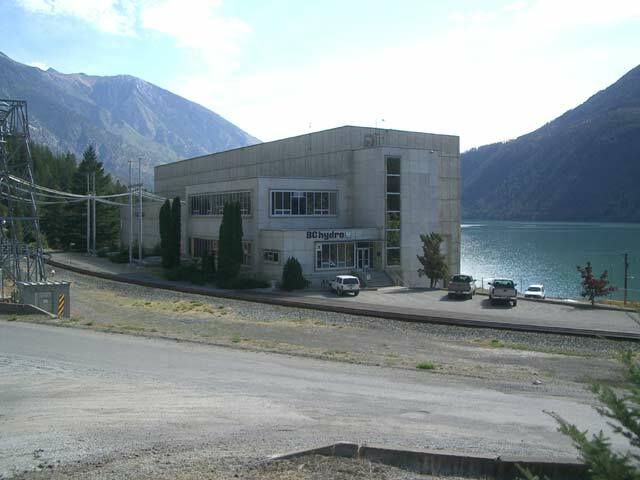 Seton Lake Indian Band employment relies mostly on contracts in the forest industry. 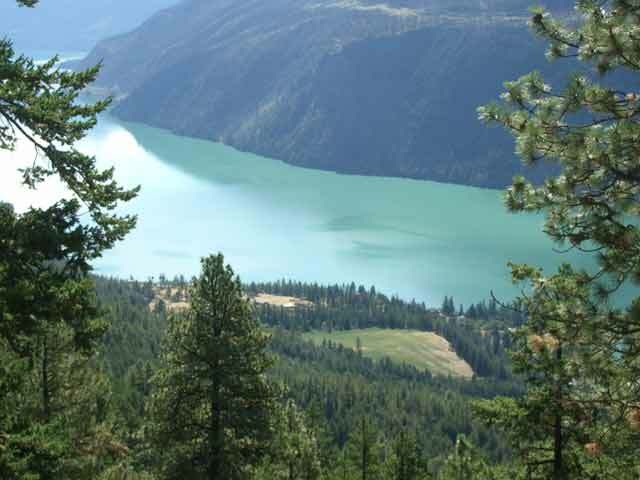 The main contracts include clearing areas of Mountain Pine beetle infestation with the Seton Lake Indian Band members being trained in felling and bucking, industrial first aid, sawmilling techniques and work place safety. There is an old Via Rail platform in Shalalth once the property of the PGE, later BC Rail and currently CN Rail. The CN platform is now used as a passenger stop to allow school kids an easy and faster travel into Lillooet rather than taking the time-consuming and steep Mission Mountain Road. The shuttle originates in D'Arcy, stops at Seton Portage, then Shalalth and eventually Lillooet. The Seton Portage Historic Provincial Park is located about halfway between Seton Portage and Shalalth. Here you can find an important site in regards to the establishment of the BC Rail into British Columbia. Look for the old railway caboose that is home to the Seton Portage Information Centre. For services, there is a small store available with the opportunity to purchase gasoline and other fuels but be aware that hours are limited. Accommodation can be found in Shalalth at the Lakeside Resort. 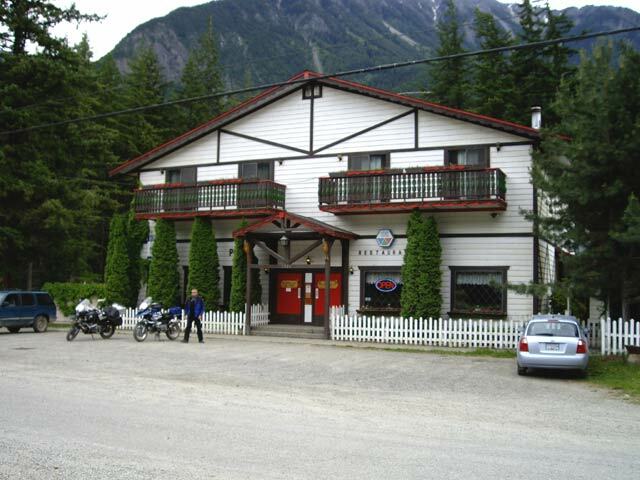 Unfortunately the Seton Portage Motel which had been in operation since 1959 and conveniently situated next to the Highline Pub and Restaurant was put up for sale. For RV camping and tenting sites there is little to offer in either Seton Portage or Shalalth. There is though Carpenter Lake Recreation Site on the way in on Mission Mountain Road. If you are planning on going to Whistler, the road goes south from Seaton Portage to D'Arcy along the transmission lines and Anderson Lake. Unfortunately, the Highline Road must only be attempted under certain conditions. You will require a 4x4 vehicle, be familiar with backcountry conditions and take emergency supplies. This Highline Road can also be very rough and is recommended only in the summer time.